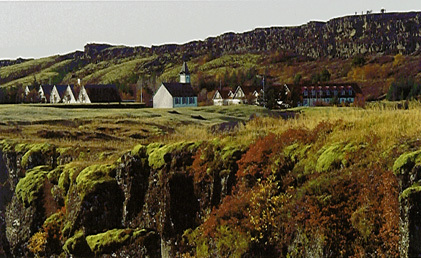 This is a picture of Thingvellir. Iceland's National Shrine. This is the location of the world oldest extant parliament was established in 930 AD and the modern Republic of Iceland was declared in 1944.